Peter Z. Wasowski is the Founder and CEO of Vasper Systems. 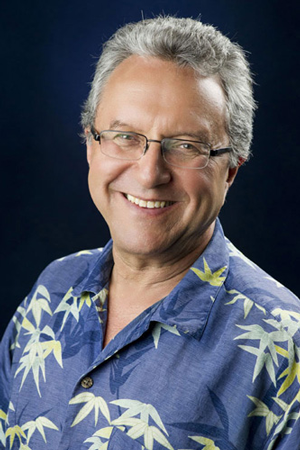 Peter has 48 years of experience in the field of medical technology and vascular health. As Manager Clinical Development for GE Medical Systems he has worked all over the world. Later, he became Co-founder and CEO of CoolSystems, Inc. The device he helped to create for CoolSystems has become the industry standard in professional sports care and rehabilitation and is currently marketed the name GameReadyTM . As a true visionary Peter fused his extensive knowledge and experience with the passion for expanding human wellness to create the Vasper Technology. Today, the patented Vasper System is used by the Navy SEALs, NASA, Olympic and professional athletes, physicians and Vasper evangelists from 9 to 94 years old. Peter enjoys paddling Hawaiian outrigger canoes, piloting airplanes, riding motorcycles and creating positive difference in the lives of others.